Right, so I'm TOTALLY biased cos I used to work for these guys, but the Irish Architecture Foundation have recently launched a membership scheme to help fund all the great things they do and I've signed myself up. 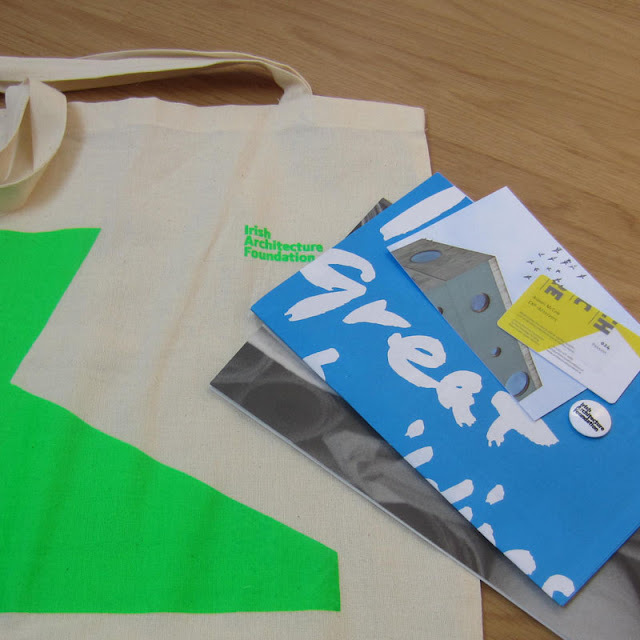 Even without being based in Ireland I get goodies like a new tote bag and some of the IAF's great publications and if I find myself back at home any time soon I can avail of priority booking for their events, 10% off in the Irish Design Shop and other great shops in Dublin AND the warm fuzzy feeling associated with donating to a good cause. Man, I am such a great person... More info here and see who else has signed up (loads of cool people - don't be left out) over on Twitter.